I'm a little late with this review. 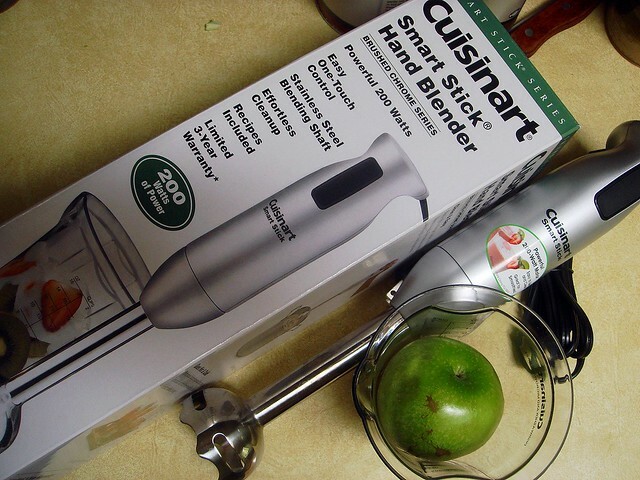 I received a Cuisinart SmartStick Hand Held Blender from Wayfair.com. I've wanted an immersion blender for a while now. 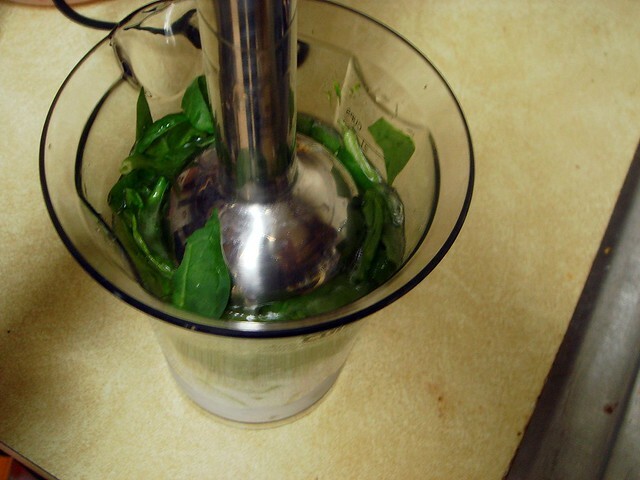 Immersion blenders can be used to puree large batches of soup right in the pot, mix up batters, make smoothies, and more. It saves you the trouble of taking out larger appliances, and even then you still have to puree in batches. This particular immersion blender is only $30, comes in brushed chrome and has a removable stainless steel shaft that is dishwasher safe. The body feels like plastic, but it looks nice. The motor boasts a powerful 200-watts, making quick work of whatever you need pureed to perfection. While it might be bigger than other hand held blenders, making it border on cumbersome if you prefer really small appliances, it's easy to grip and the blade can be removed to make storage easier. The larger size also makes it easier to puree soups in tall pots.The blender operates with a one-touch control, no alternate speeds. The cord is long so you can bring the blender to the pot instead of the other way around. It comes with a 2 cup microwave and dishwasher safe plastic beaker, in which you blend smoothies and other stuff. It's particularly nice because there are measurement lines. 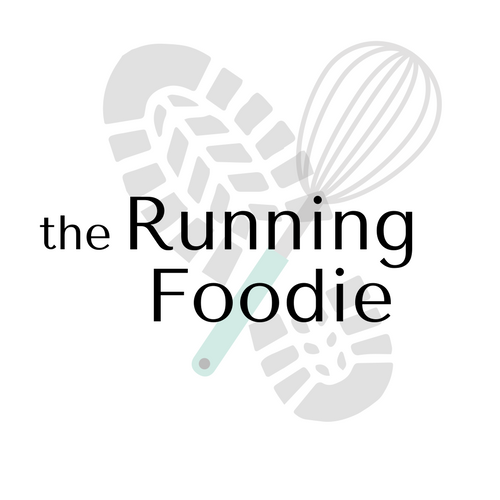 I wanted to see how the blender would handle ingredients that aren't already softened, like vegetables would be in soup. 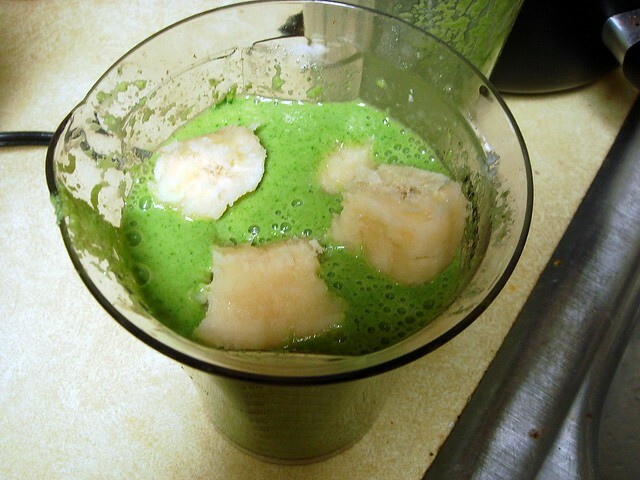 I sometimes make green smoothies consisting of spinach, apples, bananas, yogurt, water (or green tea), and sweetener, so I decided to use the hand held blender instead of the regular blender, which I kind of hate getting out. I made a mistake by packing the ingredients a little too tightly. 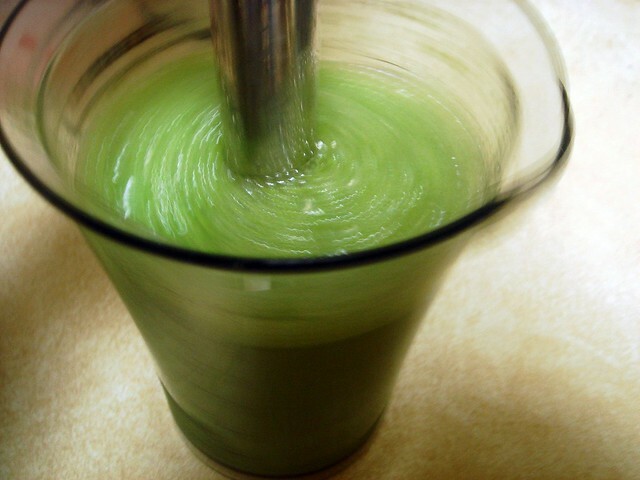 The blender works best when submerged and when there's enough liquid to keep the ingredients moving. The way I packed it, the large fruit pieces were on top and all the liquid was on the bottom. A little prodding did the trick and soon enough all the ingredients were evenly blended. I'd still suggest chopping everything into smaller pieces like I did to make it easier to puree. 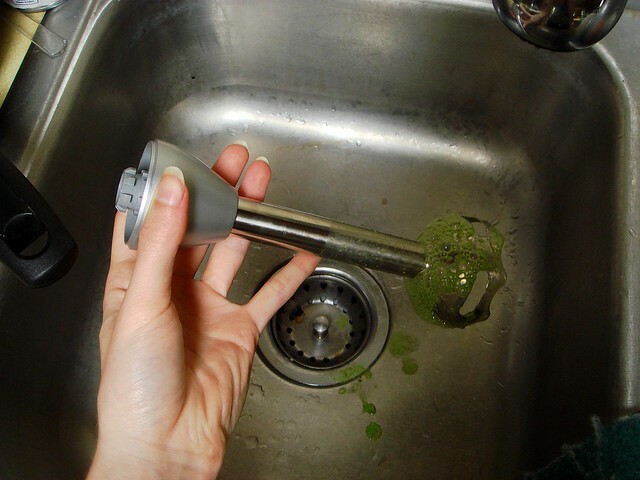 When you use the blender, it helps to keep the shaft submerged. 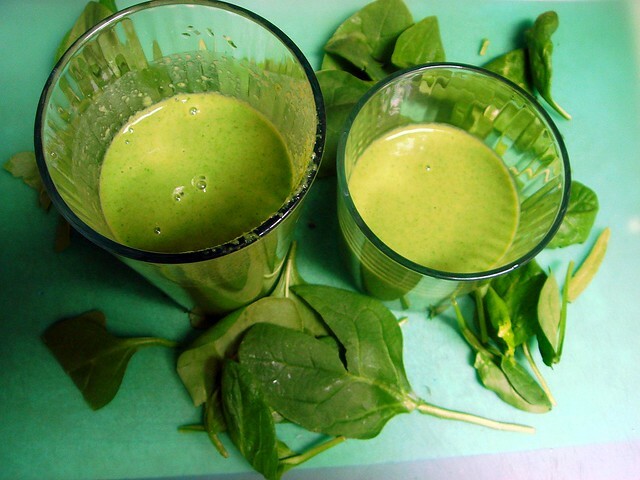 Using a pulsing up-and-down motion helps cut through the ingredients, though you don't want the blender to surface because it'll spray soup or smoothie liquid everywhere. I added the banana last only because I forgot about it, but it worked better this way. Clean up is quick and easy. Simply press the button in the back to release the shaft and run it under warm water. I let it air dry. And that's all there is to it. The smoothie was pureed evenly and very smooth. Sometimes with the blender you can still taste bits of spinach that weren't completely pureed, so that's a big plus for this immersion blender. The size of the blender is large, but that just means you can puree in even the tallest of pots and pans. I would say that this is a must-have item to own. For $30, I couldn't be more satisfied with this blender. I never thought to use my immersion blender for smoothies! Clever.